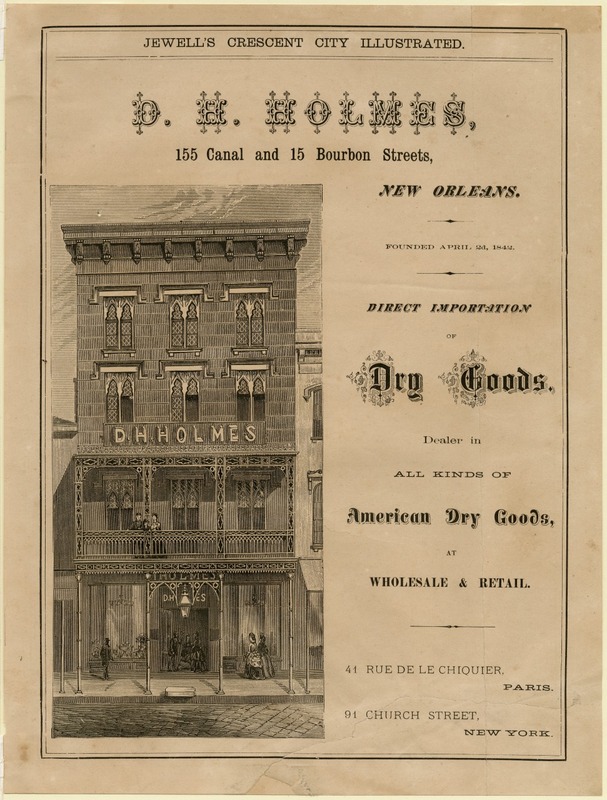 As Canal Street became the center of shopping in New Orleans, some dry goods stores and clothiers sought to expand their offerings to include a variety of personal and home goods. Through the nineteenth century, they added departments dedicated to fabrics, clothing, hosiery, accessories, stationery, home furnishings, and bric-a-brac. By the twentieth century, these department stores had evolved into towering commercial enterprises that were considered among the city’s landmarks. They contributed to Canal Street’s reputation as one of the premier shopping destinations in the South.